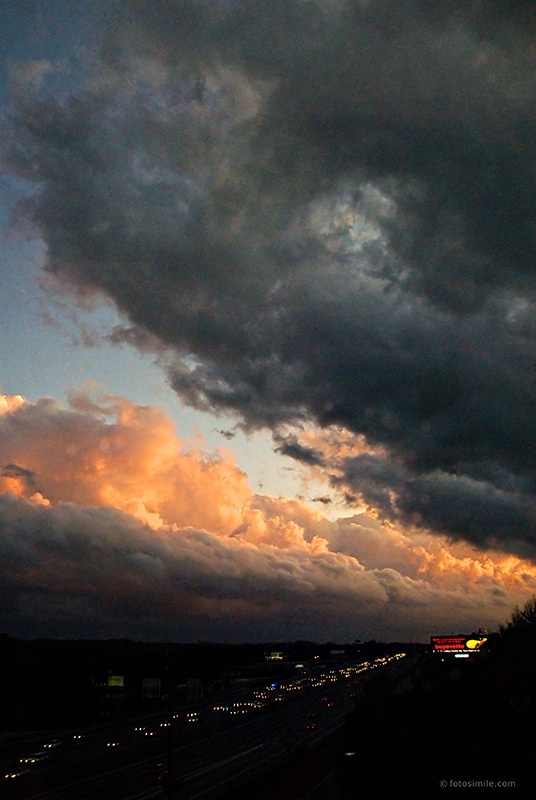 Shot this a couple of evenings ago when the front that had spawned tornadoes in the Midwest moved through Atlanta. I looked up from my computer screen and saw this dramatic sky and grabbed the D200 camera, turned off the lights and shot through the window despite some glare and rain drops. It's noisy and not the sharpest knife in the drawer, as the old saying goes, but the sky was so dramatic I decided to share it anyway. This is a wonderful photo!! This reminds me of a JMW Turner painting -- I love it!